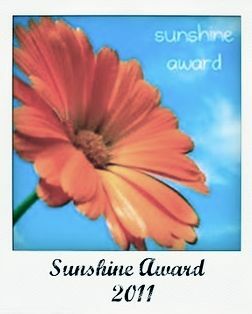 This week I was lucky enough to be given two very sweet blogger awards. While I have received the Versatile Blogger award in the past (naughty me, I didn’t put it on the sidebar so no one was to know! Oops) Essential Momma Baby still deserves a shout out for awarding it to me! Thank you! Also if you’re a Mummy blogger you should head over there because she’s linking you all up! Tahirih of My Almost Daily Painting Blog Definitely doing a feature post about this girl in the coming days/weeks. I HAVE to share with you her gorgeous paintings. I’m completely amazed! Ok, now it’s party time! I hope you’ll link up your post and make sure to link back to me and grab my button! You could be featured! Congratulations on the awards! Thanks for hosting. Congratulations on your awards! Heading to both links now to check them out. I love finding new and inspiring blogs. Thanks for sharing and congrats again! You have a wonderful blog my friend and congratulations for the award. You sure deserve it. Thanks! I'm linked...and so glad you got the awards!